October 12th will be the Windows Phone 7 Developer Launch. There's an MSDN Simulcast event you can sign up for, that'll be a full day of training on writing Windows Phone apps. In the US, there are also a lot of live in-person Free Events to learn Windows Phone 7 Development listed at http://www.msdnevents.com/wp7devlaunch. I encourage you to register now as they are filling up fast. A friend asked me to put a Windows Phone 7 banner on my blog, and I said half-jokingly, what'll you give me? Then I realized it's less interesting if there's a banner on MY blog and more interesting if there's a banner on YOUR blog. So, I brokered a deal where two of you (US only for now, sorry, I seriously tried) will win a free Windows Phone 7. Here's the legal rules they wrote, but here's my four-step layman's version. Now, they'll use Bingle/Gobing and a link: query to find two of you randomly, I'm sure, but even better, after you've done it, add a comment on this post and Iet everyone know! Within 10 days after the final Windows Phone 7 developer launch event, they'll select TWO folks randomly. Your odds are good, friend. Like way less than 1 in a billion. We shall see. Go Go Go! Find a register for a LIVE local developer event! durn, why'd I think there'd be some magic auto name/email thing with my openid? I'm a sucker for the chance at free stuff. Image is on my blog. Hoping free phone arrives. Doesn't hurt - I certainly hope it supports other carriers soon! Yeah, I'm a sucker for free stuff too. Count me in! Very excited for the chance. Check out bookemdano.spaces.live.com for some WP7 device info. Added it to my crappy tech blog http://worthyd.com/techblog/. I'm very excited about developing for phone 7!!! I would be totally up for doing this, such a pity it isn't available in Europe. I love the free stuff, too. On top of that, I'm really excited for the Windows Phone 7, so I'm happy to do it. I'm very excited for the new phone ... I'm attending the launch in Philly. US-only means US residents only? Or if I ask for it to be sent within the US can I be eligigle? Looks like I just missed the WP7 event that was in Utah this week :-( We don't get a lot of MSDN events out here, but I enjoy attending them when we do. I added the link to the side bar of my Code Blog, and put the full banner at the bottom of my WP7 Game development project. Free phone or not, I'm just excited to see a great new platform come out! added to my gaming blog. i'm so stoked for windows phone 7 to come out! really disappointed in verizon not having it at launch. US only for now - Just for US man or just for US address? I'm from Russia, but I have US address, can I take part in competition? I really need a new mobile phone. Mine's so old it has a rotary dial. After using a WP7 dev phone (and sadly having to turn it back in), I'm going through withdrawal. 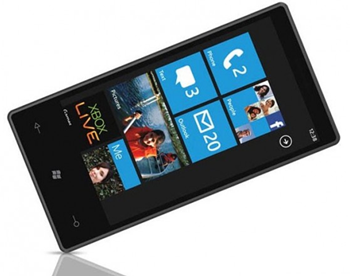 I could definitely use a WP7 phone. Perfect opportunity to announce that I'll be proctoring the hands-on labs in Dallas. Also linked to a couple of videos of my own WP7 development. I think I just diluted everyone's chances. Sorry. Awesome contest! Good luck everybody! Got to play around with a WP7 device at a launch event. It's a nice one! Done, and registered for the Washington DC launch events. WP7 looks cool, but MS's decision to launch on the sub-par data network of AT&T has caused my company to go with Android. Good luck on WP7 though. I have completed the mission you have placed before me. Does need Verizon for best results, tho :). Can't wait for the launch in Chicago on the 19th/20th. Done. And looking forward to the launch! Who knows. Maybe something cool will come out of it. I added it to my new WordPress blog courtesy of Windows Live Spaces, but now I need content. Surely I have something to write about. This was a great idea, and it was fun to join in. I'd love a free Windows Phone, so... Bing me! Posted to the blog. I've never won anything, ever...but hey, there is always a first (fingers crossed). And good luck to everyone too!!! I'd love a chance at this! Done!, Good luck to everyone! Any chance if you stay in Bahrain? I had already started mentally planning the update to my blog templates... Until I read "US only" and cried. I am a SL developer, wait so long, good luck for phone 7. Added it to my MMTRG blog http://www.mmtrg.fr/. I have created dedicated post for this event and posted your announcement and the images pointing to the url you have provided. Could really use this for development of mobile site & apps at a small college. Added to http://gyurigrell.com. Here's hoping I win, as the emulator is seems rather slow for animations & Silverlight games. Hi Scott, too bad only US citizens can win a free Windows Phone 7. I am wired up and proudly displaying the banner in my header. Here is hoping I can move from the MyTouch to this new gadget! Added to my blog, w00t! Just blogged... OctoberFest, Silverfest (DFW) - including the Phone 7 Launch! Apparently my comments are getting flagged for moderation. Hmmm. I've tried commenting 8 or 10 times and it never goes through. Maybe Matt has the idea of how to get past the moderation. Weird. I have no moderation system. I don't moderate comments at all. Perhaps the Akismet Wordpress Anti-Spam is getting suspicious of all the links to blogs with really short comments. It seems like just the use of the anchor tags did it, though I see others here got it to work. I added the banner to http://blog.columnbreak.com and the badge to http://m.columnbreak.com/blog. I added the banner to http://timcorbett.blogspot.com. Read my ongoing blog about my quest for a Windows 7 Phone. I've posted the banner on my site, http://Saintless.com. Thanks, Scott! Having a Windows Phone will help me compare between iPhone and Windows Phone 7 intensely. I would really like to get a Windows Phone for testing and posting. My blog is Dush's Windows Phone. Has it been 10 days since the final event happened? I don't see a list of the event dates on the site. Wanting to know who won? Should I officially give up hope and go pick up a new crappy phone to replace my old crappy phone? Yep, I literally just called the final winner a few hours ago. There were hundreds of entries and two winners. Thanks everyone for playing!